This seasonal design features the name of your choice surrounded by golden orange autumn leaves. 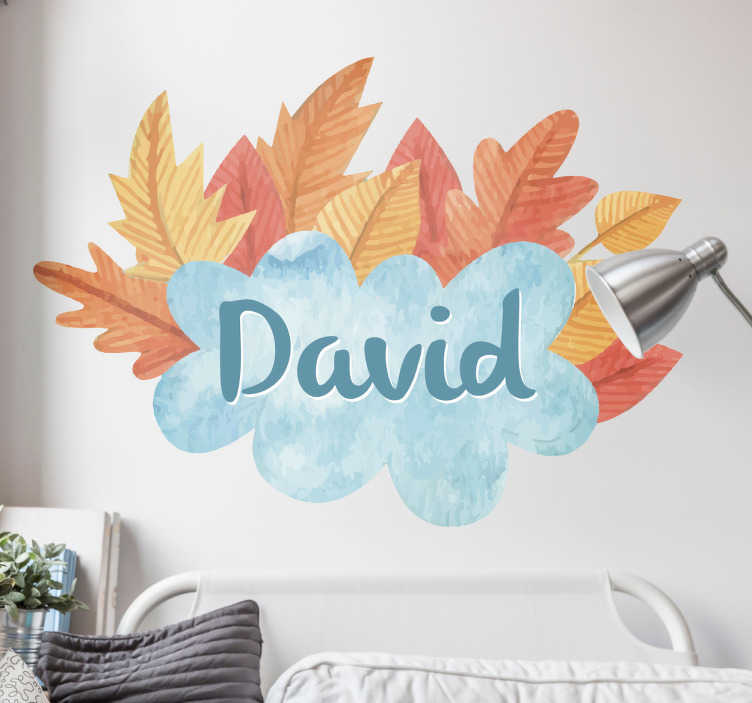 Ideal for hallways, living rooms and bedrooms, brighten up any wall or even any hard surface with this fun adhesive vinyl. All our decorative vinyls are made from a durable, high quality, anti-bubble material, and are applicable to any surface indoor or outdoor!